There's no doubt that the bench press is a legendary exercise, but even the most fabled legends aren't perfect. After 50 years of gym dominance — and verifiable benefits for building strength and sculpting the pecs — the barbell bench press isn't going anywhere, but it's worth a nuanced view. Like a flat bench, a decline press has the potential to build both upper body power and muscle, but it doesn't recruit key shoulder muscles and it may even cause shoulder strain. As a subtle variation on a classic, the decline bench press comes with some naturally subtle perks and drawbacks of its own, too. Bench press die-hards invented the decline press for a reason, and that reason is because they wanted a more intense focus on stimulating the chest muscles. Though the jury is still out on whether or not the decline press is conclusively better than the flat bench in that regard, some may experience more stimulation — especially in the lower chest — due to the exercise's greater range of motion. Though your chest mileage may vary, the decline bench press' activation of the latissimus dorsi — the mid-back "lats" — is greater than even a wide-grip flat bench press, and the intensity increases even further with a narrow-grip decline press (though, to be fair, neither press excels at lat activation). Though the lowered position of the decline press aims to boost your range of motion, you can seriously stunt that range if your grip is too wide. As a rule of thumb, your forearms should be pretty much vertical at the bottom of a rep, with an overhand grip for a standard decline press. The bench press activates the front shoulder muscles known as the anterior deltoids as synergists, or muscles that help other muscles complete a movement, but a declined angle may reduce the focus on the delts. You can't have a conversation about the decline bench press without mentioning its sister, the incline bench press, which puts the bench at a raised (rather than lowered) angle. Both offer similar overall engagement of the clavicular head of the chest (the "upper pecs"), but the flat and decline positions recruit the sternocostal head muscles (the "inner pecs") a bit more than the incline press. For the latter, a bench angled between -18 and 0 degrees offers the most impact. If you're looking to work the triceps, a secondary muscle group engaged by the bench press, decline and flat bench angles are your best bet. 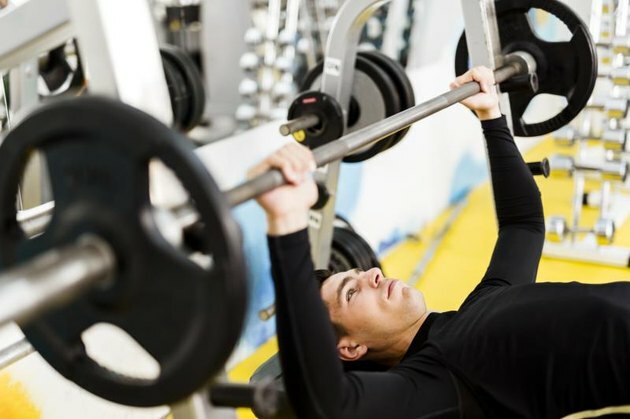 The pros, cons, perks and pitfalls of the bench press and its many variations are nothing if not provocative in the fitness community. What does the bench look like when you hit the gym on upper body day? Do you swear by declines, live on the incline, or go flat and classic? Let us know your angle in the comments below. Chad Waterbury: Should You Bench Press? What Are the Benefits of a Decline Dumbbell Press?